We had an good and uneventful passage on our first day back traveling arriving in a designated anchorage called Rocky Creek. They probably should not call it Rocky Creek but rather shifting sandbar creek, or mud creek or, You will probably go aground creek. All was well as we set the anchor with in a few feet of the spot on the chart. After we watched the first “Christmas Movie” of the season I noticed that the boat had a slight list to it. I figured it was laying over a bit due to the current being against the wind and we were lying broad side to the wind (and now rain) But I also heard a tell tale sign of water lapping agains the side of the boat, indicating that we could possibly be aground. They say that there are two types of people that travel the ICW: those who have run aground, and those that will. We are now in the first catigory. It was pitch black, sideways rain, no moon and we could not see the shore because of the glare off the rain when we shone the light. Only the chart plotter and compass. The chart plotter would not show our orientation because we were not moving, so looking at the compass was the only way to know how we were actually lying. With some persuasion from the engine and windless we got off and got the anchor up and moved down creek a few hundred feet to the deepest spot we could find, after running aground once more. By the time I had let out enough scope we were sitting in 9 feet of water, but it was low tide, so that was fine. I posted a note to the Waterway guide with the two spots that were 3 feet deep either side of their marked anchorage spot. This was not the end of the rain however as we were to find out in the morning. We were up at first light as we had some challenging shallow spots and timed bridge openings to transit and wanted to be away as soon as we could. I discovered that in all of the confusion the night before I had left the spreader lights on all night. Good thing we have a good battery bank! We burnt about twice as much as we usually do in a night, about 85 Amp hours. You learn to be careful with electricity when you have to make your own every day! As we set out we saw the flat bottom of thunder clouds to the north and east. I had hoped that they were going to pass us by but it was not to be. It rained that day between 6 and 8 INCHES! We anchored in a beautiful anchorage at Beaufort SC. Val has already talked about the difference between these namesake cities of NC and SC. The rain continued through the night and we worked at drying our outer and under ware out. The next day we decided to forgo the city tour and press on! In the morning we saw a fragment of blue sky and some warm temperatures. We were nearly a month in Charleston. At some point before we arrived I had to figure out a place that I could fly to Toronto to attend board meetings for Wycliffe Bible Translators Canada. Since I am the chair of that board I wanted to be in a place that I could prepare for a time and then fly out. To fly out with certainty I would need to know about a month in advance where that place might be. Not having done the IWC before, I was really unsure how far we would get. Taking a very conservative approach I settled on Charleston while we were still in the Chesapeake Bay Area. Charleston has an international airport with all the major Airlines in attendance. Upon arrival as you have already read we did some tourist things and then Val headed to Sask to visit. I spent some time prepping for the Board meeting and doing boat projects. You have already read about Vals time, so here is something about mine. Wycliffe Bible Translators is part of a family of about 100 organizations around the world that translate the Bible into the “heart language of people”. We work usually with the established local church or other missions organizations. Translating the scriptures used to take most of the life time of a single missionary. Years ago when missionaries were sent to remote places some were known to pack their belongings into a casket, since that was how they might very possibly return. Today a New Testament translation can be done in 6-10 years and is usually done mostly from national who have been taught how to do good translation work. Beyond translation work is also litercy and scripture use work. Often there are other ministries that spring up like church planting, education, poverty reduction, medical work, etc. Now I know that some of you reading this blog will object strongly with the concept of bringing a western “religion” to other people groups. That is the philosophy of much of the liberal west today. Even being a christian is becoming increasingly unpopular , suspect and politically incorrect. I meet more and more so called liberal thinking people who are intolerant of the faith that I profess. That is rather ironic because a true liberal would provide space for many viewpoints. I would like to offer a rather surprising article for skeptics to read. Even if you are not a skeptic commend this to you. I remain a believer in the Son of God and the Salvation that He so freely offers. I have always believed that it has the power to transform lives and communities. Through our studies as board directors of Wycliffe translators, our President stumbled upon an article that draws an amazing parallel between those politically incorrect (now) conversionary missionaries and the rise of Liberal Democracy. I promise you that this is an interesting read from a very practical point of view. Another good reason to consider the claims of Christ. Click the link above to read the article. 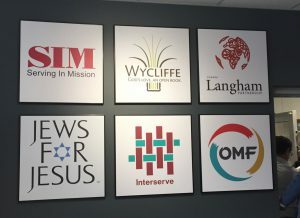 One of the other significant thing that we did recently at Wycliffe was to sell our building in Toronto and move in with 5 other like minded mission agency’s to be better stewarts of our funds. The additional benefit is the building of relationships with folks engaged in the same mission. 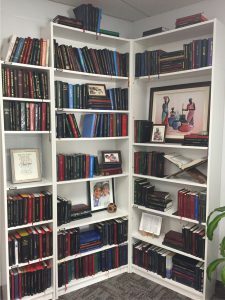 What to see a “Stack of Bibles”? This is no where near all of them. Lots more in the basement. I think it has been a month since I have posted a rseport so I guess I am long overdue. Since Nov 13 I have been in Saskatchewan visiting with Kait, Justin, David, Nathalie and the girls. It was a great time going to Norahs hockey games, cooking and just enjoying family. I got to see a little of Cold Lake Alberta where Dave and Nathalie live. Needless to say my time flew by and it was time to head back. In Edmonton I got to visit with my brother Gerry for a few hours. Time is such a precious commodity that really one needs to cherish our moments with care. I left Canada with a thankful heart and looking forward to returning in the spring. Eric and I returned on the same day within minutes of each other. We headed back to the boat and both were ready for a sleep. This flying is not a relaxing way to travel. In Toronto I sat in a loaded plane ready to go but had to wait for a new part to be put in the plane before we took off. Now I do appreciate the care they take in keeping us safe but I could feel myself getting anxious as we were more and more delayed. I knew I had about an hour (which I felt was great timing) to get to my connection for Charleston. Well we chewed that up in Toronto so when I got off the plane these old legs ran to the other end of the airport to see if I could catch the flight. As I was leaving the Air Canada guy had a voucher ready for me if I missed my plane. Well I made it!!!!!!!! I was the last one on with no minutes to spare. So our first day we spent doing all the laundry we could and getting groceries so we could leave on Saturday. We decided to head out right away and not visit the plantation now and will wait until our return. We really did enjoy Charleston, the depth of history, the spirit of the place and the people. Eric went to a church there for the three Sunday’s he was there and we want to return when we come back in the spring. 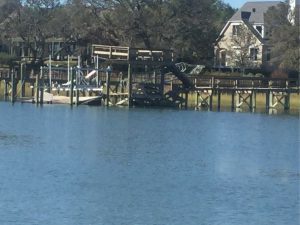 I am writing as we are now on the Intra-Coastal Waterway heading to Beaufort SC (pronounced Būfort) not to be confused with Beaufort NC (pronounced Bōfort), you will be corrected if you get it wrong . We have decided to push hard to Vero Beach where I have a cousin, provision the boat there and then wait for our weather window to go to the Bahamas and be there by Christmas. So the adventure continues and we continue to search for the ever elusive warm weather. My cousin Stan tells me Vero Beach’s weather is beautiful. Let’s pray. This morning was a very special morning in the Life of our Church, St. James the Less in the Parish of Renforth. It was the occasion of the ordination to the diaconate for Jonathan Hallewell. Jonathan had been worshipping here for over a year and as the year went on and I announced my retirement it became increasingly clear to me and him and a bunch of others that he may be called to leadership in ministry at St. James the Less. For me personally this was a great peace, because one of my greatest concerns was, who was going to follow. God is the god of all provision and he has done this and not ourselves. To be able to watch this event actually take place was one of the miracles of modern technology. I was on my way to a local new church plant here in North Charleston SC from the marina and Val was at Kait’s house in Saskatchewan. 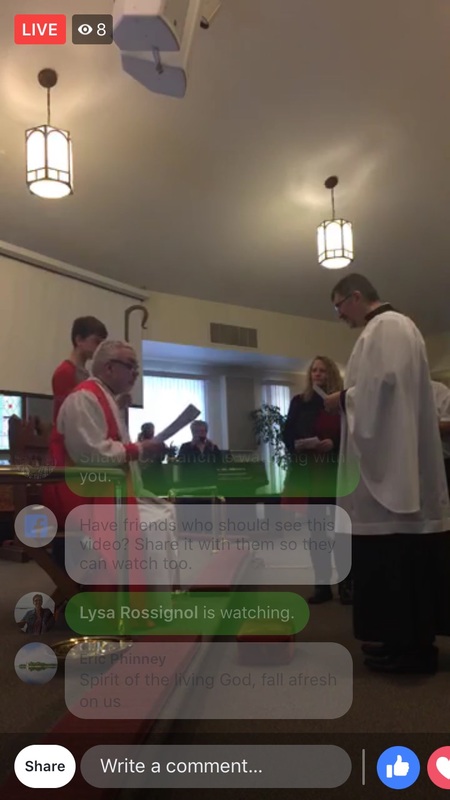 We both surfed in on Facebook live and were able to experience the service. Earlier I had suggested to Jonathan that it would be a great blessing to us to be able to watch on Video, so he taped an old iPhone to the “wings of the eagle” … something prophetic about that no doubt! Here are some of my impressions. It looked like he did this about an hour before the service began, so I got to hear all of the “pre-service things, like John and Cynthia practicing, Linda getting the organ in shape and bits of conversation here and there…. Yes the whole world could have been listening! Particularly moving was seeing and hearing David and Jonathan rehearsing the vows and generally preparing for what was to take place. Next was Susan’s introduction. It gave me great hope that the parish still has the call and character of Christ and is full of the spirit. Susan you were true to form and so sensitive to the people and to the Holy Spirit as you introduced the service and prayed. I am very proud of you. Throughout the service we were seeing many friends and visitors participating. There were clergy, friends and church members taking part, each one touching our hearts as we saw them pass the wings of the eagle. Listening to the message by Bishop (moves diagonally on the chessboard) Edwards, was a treat. It was an act of great love for David to come and do this so close to the time of Janets passing. His call to us all was deep and practical and very real. My last highlight was watching people come to the rail to receive communion. Very emotional. This was the deepest moment for me. The eagles wings witnessed most of the congregation come forward, kneel and then receive the bread and wine. As the one who did this for over 20 years it stirred deep memories and emotions. In a few minutes I board a plane and fly to Toronto to Chair meetings with Wycliffe Canada and then on Thursday Val and I both return to Tevah and head south. At Least it’s not snowing! Val has left for a visit at Kait’s and I am hunkered down here in Charleston SC until I head up to Toronto for the last week of November. I do have to say that the “Southern weather” can be a bit fickle! We get one day where we comment that we have “beaten winter” or “turned the corner”… and then 5 days of overcast, wind, rain and cold tempetures. I guess we will need to press on as quick as possible when we resume our trip! 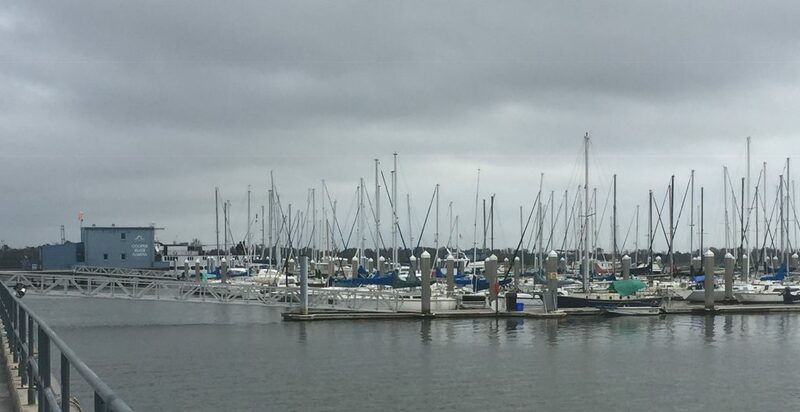 In the mean time the boat is docked at the Cooper River Marina, a state park facility on the grounds of an old Navy Base. The staff is extremely helpful and the facilities are modern, clean and well stocked. It is in the middle of nowhere but the staff will always give you a lift to do some shopping or run to the airport. I have met a couple of my neighbors and they are great people. Found a small new church plant to attend on Sunday and made a couple of connections. We were amazed at the similarities in our walk in the church and theirs! Definitely a sense of connecting to what God is doing. I will return there for sure this Sunday. I have begun a long list of boat projects for the time that I have on the boat alone. There are a number of “leaks” to be tracked down and fixed, some improvements to the living space as well as some electrical/mechanical issues to deal with. It is great to be located in one place so that I can order stuff and recieve it. I have found that even though we are in a major boating centre it is cheaper, easier and faster to find things on line either at Amazon or an independent dealer and have them shipped directly to the marina. I have ordered some new gaskets for the ports, a new Alternator and a spare drive belt for the Autohelm. 3 at helm station – still a mystery, but I have some ideas! This is a Joggling board. A feature of many a fine southern home. 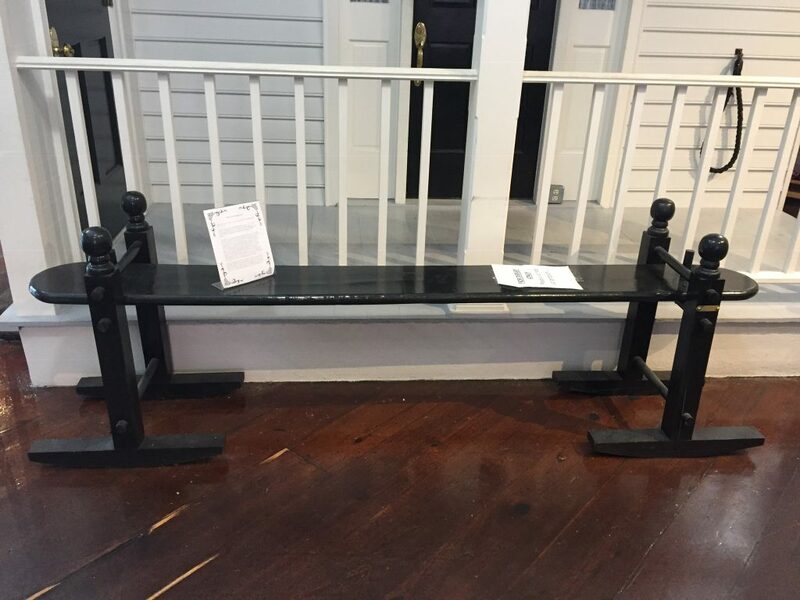 Here is an article that explains this rather unique piece of porch furniture. We did do a day of exploring the history of Charleston when we first arrived. Spent 90 minutes on a city tour and went to the Museum. Very though provoking and informative. When Val returns we will go on a Plantation tour. I will let Val blog about this aspect of the trip as she will do it so much better then I. 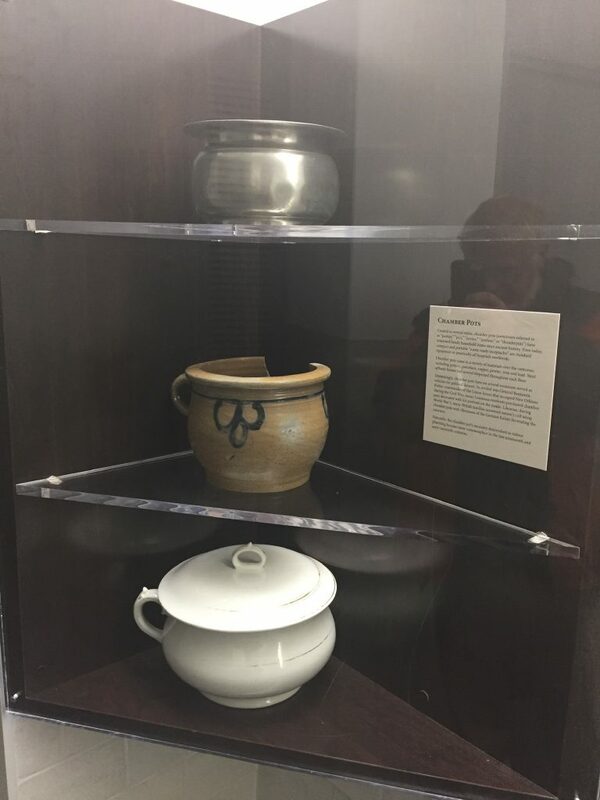 Yes this is a display of Chamber Pots. That would not be unusual for any Museum. The thing that was unique about this display was its Location. It was in the “men’s room”! And yes there was a similar one in the Ladies! 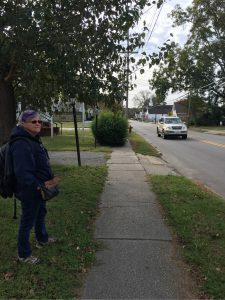 It’s been awhile since I have added my two cents to the blog. At Beaufort when we were getting the groceries I dropped my cell and broke it!!! So I was willing to sadly live with it. The problem was the broken screen caused a problem to type some of the letters.  So off we went and had it repaired in Wrightsville Beach. The place was call CPR Cell Phone Rescue! I got a new battery and screen for $130 so Ms Galley Wench is very Happy. The effects of Hurricane Florence has been significantly different as we have sailed down the Intracoastal Waterway. As we said last week Beaufort mostly suffered roof/water damage. Further down we can see how high the water was, docks twisted, huge parts of them missing, boats thrown on shore, houses damaged. We have been told that it was a result of all the water flowing down from North Carolina into the South Carolina waterways. Since I last wrote some of the places we have anchored are Onslow Beach (Camp Lejeune)where it is like trying to pitch a tent at Camp Gagetown! As we came into the wee harbour you could hear the deep resounding BOOM of some really big explosives. Then in the early evening it was the sound of fireworks called automatic gunfire. It did settle down and all was quiet to sleep. I don’t think you could have fit many more boats in that harbour that night. Next stop was Wrightsville/Wilmington. We did actually stop for a few days and did laundry got my phone fixed (yeah!) walked on the beautiful white sandy beach. We have actually started to say we are in the warm south and not in the winter weather (sorry you northern friends and family ) Lovely people, a warm, welcoming and relaxing time. Myrtle Beach is a very long beach my friends, she is a mere 60 miles long of white sandy beaches,there seems to be no crowding here. I think the crowding comes in trying to find a parking place in order to go to the beach! The Galley Wench was taken out to Ruth’s Steak house and mmmm was it good. I also made a lovely homemade guacamole and a mango salsa among other delicious meals. I don’t see the Captain hasn’t complained so I guess I’m here for another week. We are now in Georgetown SC at one point the rice capital of the world. Who new? They a rice museum and a maritime museum that we have visited. The most interesting fact about the rice is it was the idea as well as the enacted by black slaves. The coastal area of SC is referred to as the lowlands. There were slaves from Ghana and Senegal who has experience in growing rice in their homelands. They made it happen and they made their masters very very rich. Just prior to the Civil War they were exporting over 70% of all rice for the world. Eric and I were discussing this and we were saying that in school we heard of plantations and always thought cotton or tobacco but never was rice a crop ever discussed. The local history we have learned has been amazing and revelatory. I have thought often how I am very much a lame duck when it comes sailing. 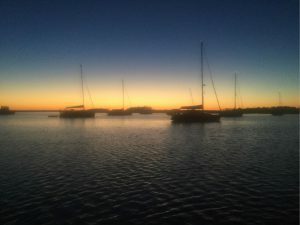 I’m not a sailor, I can do very little when it comes to repairing or maintaining the motor or any of the many other things that makes this whole trip happen. The sad truth is I have no desire to do those things either, Eric will sit at night to plot out our next days journey. The bottom line is I truly am just along for the ride and will feed the Captain since I would be in such a pickle if anything happened to him. We have a lovely working relationship but Unless something changes in me this will be a one of retirement gift trip. If you recall way back I had spoke of the Jersey coast just about did me in, I have spoken to several wives and I am not the only one who felt like ‘never again’ one gal came out of that trip with a broken rib so I did ok. We will soon head to Charleston and then on to Saskatchewan for me. Val and I have just booked our tickets for a mid November break. I have meetings with Wycliffe Bible Translators in Toronto the week of the 26th and she is going to visit Kait and the kids in Sask. I have found a place to keep the boat in Charleston for the week that I am away and the rest of the time I will Anchor in a couple of places and do boat projects. Haven’t really got this “selfie” thing down yet! Yesterday we arrived in Myrtle Beach and got a marina slip. There was a bit of a mix up first thing as the marina that I had originally booked, had never heard of the booking service that I used. We were trying to make an 11:00 service at a nearby church that sounded really great. Check out Barefoot Church in North Myrtle Beach SC. We are within striking distance of Charleston and still have about 10 days before we need to be there for Val’s flight. There are a good number of anchorages along the Wackama river that we will make use of and only go 10-15 miles each day. Yesterday we enjoye walking on the Beach. I was talking to a local guy today that said there are 60 miles of beach! The sand was like white powder and it squeezed under Val’s bare feet! Two days ago I had to change the Alternator back to the old one. Remember Cruising is really just boat repairs in exotic locations! The new one that I had bought this summer and installed in Maryland, failed. I spent some time with the guys at Autotec on Duke street on the phone to arange to ship it back to them when I get to Toronto. When I get to Charleston I will look for a replacement. For the first time we are feeling that we can slow down and enjoy the “South”. Yesterday was reasonably warm and today it looks like it will be warmer still. Seeing Palm trees and Pelicans is now a regular thing, so we must be headed in the right direction. After we left Beaufort and the Homer Smith Marina and Fish processing plant, we continued South on the ICW to “Mile Hammock” Anchorage. This is owned by the US Military and is a favorite for people traveling between Beaufort and Wrightsville. Just about exactly half way. I think by sunset there were 19 boats anchored. We were lulled to sleep by the sound of light Artilery fire and other military operational sounds. This part of the ICW is also used for live fire exercises and is sometimes closed for obvious reasons. We saw several of the “Targets” scattered along the shore as we went along. We also passed by a Navy base where they were practicing vertical take off and landing with their Jets. Reminded me of Arnold Schwarzenegger “Your fired!” Those Jets. Very loud. As there were several bridges that operated on a scheduled we have learned the art of keeping in a neat row without moving but very carefully using FWD and REV and a tiny bit of rudder to maintain our position in line abidst the wind and current. A couple of small z drives attached to a geo stationary controller would work well here! One of our pet peeves has become hedges that remain unclipped. This is one great example. We have found that whenever we walk we usually end up going single file for part of the way. I guess walking is just not as popular as it once was. We saw this sign in Belhaven. Thought is was quite a mix of businesses. This was only half of it. There were more things written on the back. 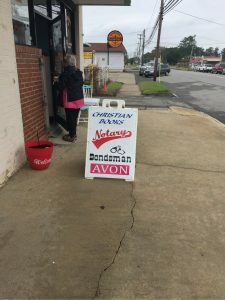 When we went inside along with the Christian Book Store, which only sold Bibles, was a pool table, some arcade machines, Candy, Snacks, The services of a Noterary and Bondsman, Avon and a number of other various, completely unrelated services and good! Got to hand it to the proprietor, he was making the most of every opportunity! We past hundreds, maybe thousands of docks and houses in the last couple of days. 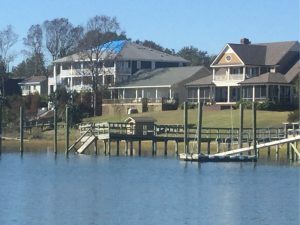 At least 1/4 of the docks and houses showed some sign of damage from Hurricane Florence. There was about 20 feet of water above the norm, but we noticed that most of the homes were already built up about another story, either on posts or a full basement beginning at ground level. The docks often had a roof or a widows walk atop them but many were twisted and collapsing. Notice the blue tarp on the roof of this house. This was a regular site. You really could not look at a group of houses without seeing several like this. Here we are anchored behind two other recently retired Cannuks. Wrightsville Beach, which is the recreational area of Willimgton NC. It is a very popular free anchorage. We even had a visit from the Town Police this morning asking how long we were planning to stay. I suspect they have had issues with long term liveaboards in the past. They took a picture of our boat and every other boat in the anchorage and went off on their patrol. Off the coast of Beaufort Blackbeard the renowned pirate was grounded. There are all kinds of displays of the Queen Anne’s Revenge booty that underwater archeology has discovered. Chris Phinney it scuba diving and underwater archeology is big here. Anyway our understanding of Blackbeard was of a ruthless pirate like most other pirates not known for their social work. Here in Beaufort he is seen as the Robinhood of these parts. The story goes that Blackbeard (Captain Thatch) loyal to Queen Anne also robbed from some of the rich trading ships coming to some of the major cities but never stopped into North Carolina with molasses and other important basics. He would take the ships cargo to his hideout up the river to New Bern. From there he would sell ‘at a very reasonable price ’ to the people of North Carolina. The representative in Virginia got tired of being stolen from so he came into North Carolina, arrested Blackbeard brought him back to Virginia. He was tried and hanged for piracy by the local authorities there. He still today seems to be admired in Beaufort and much information and stories are given to him in the museum. Interesting!!!! It has been a few days since we checked in. In some ways it has been a bit uneventful yet I guess there is always a bit of a story wherever we go. 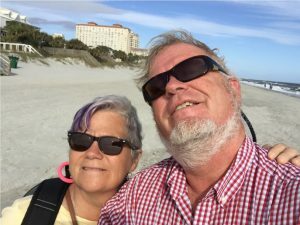 We left Elizabeth City and headed to the Alligator River and became wireless for a few days. Eric gets a bit better reception than me but still sketchy. The sailing has been quiet and we have anchored in a few places and docked up in others. The first community that we docked to was Belhaven NC. A tiny, once thriving community that is so welcoming and warm. I’m not sure what community I could even compare it to in NB. We walked the streets, had a coffee went to their museum and were amused by a few experiences. The museum was more of a collection of old and antique things that everyone in town has donated. There was a bit of organization to it but little. The gal there was hilarious telling us about the beginnings of the museum, which was a button collection and how it took off from there. We then headed further south and docked in Beaufort NC. A quaint small city with a museum and her history was very much a fishing community and today more of a research area. All the museums that we have been to have been free. There is a high value placed upon keeping the story and history of each place. We have learned much that never was printed in our history books and obviously couldn’t because of the volume of information and different events that took place over the last 400 years. Hurricane Florence’s touch is still being felt in Beaufort. For them it wasn’t so much the rising waters, they were prepared for that but the rain and wind that caused the most significant damage. The wind lifting the shingles and the rain coming through the roofs causing damage from top to bottom. One such building was One Harbour Church where they are having to strip down to the walls, deal with mould, insulation and all remodeling needs. As we walked the streets we saw all kinds of house junk on the sidewalks ready to be taken away. The are tenacious and ever positive about what life has to offer. It’s life! May I just finish by saying we went to One Harbour Church yesterday and wow it was a great time of worship, teaching and fellowship. It was just what I needed and as we walked back to our boat both of us were saying how it sort of felt a little bit like our home church St James the Less and how good it was.